Front Window Gallery is thrilled to present Kim Beck’s Space, a unique lightbox from her ambitious 2011 public art project, “The Sky is the Limit”. 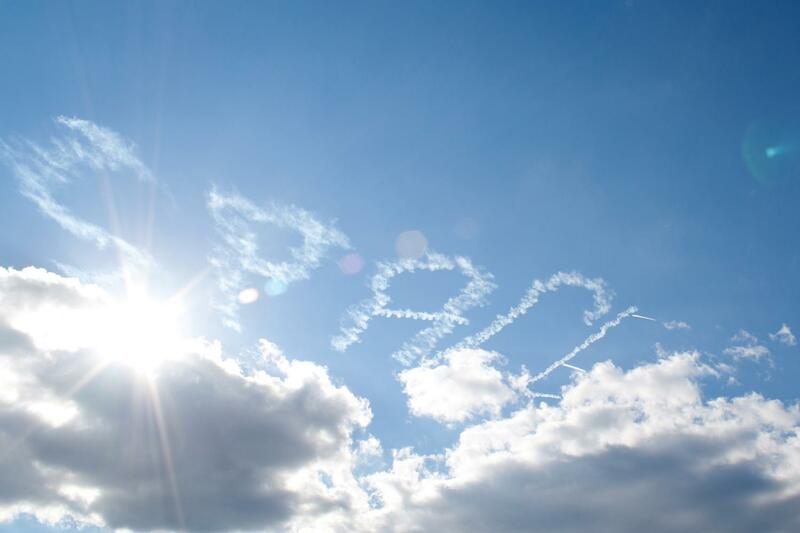 Over New York City and Pittsburgh, Beck commissioned skywriting planes to write fleeting messages such as “Space Available,” “Everything Must Go,” and “All Sales Final”. Referencing the history of skywriting as an early medium of mass advertising, Beck appropriated common advertising slogans from everyday flyers and newspapers and put them back in the sky, albeit without any product to sell. Without a product, the empty language takes on new open-ended meanings, hovering somewhere between the evanescently poetic and prophetically apocalyptic.